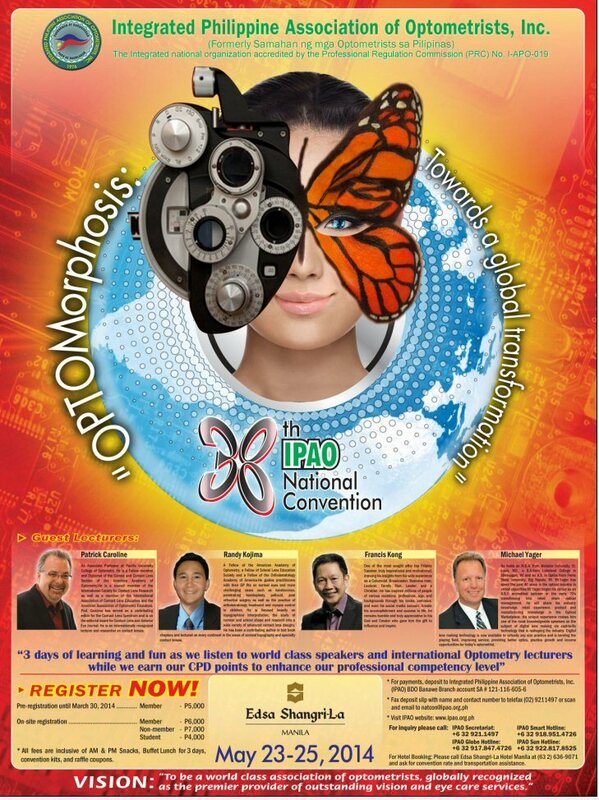 Optical Dynamics’ VP of Sales, Mike Yager, is pleased to be a keynote speaker at this year’s Integrated Philippine Association of Optometrists event. The IAPO conference will be held May 23rd – 25th at the Edsa Shangri-La in Manila. The IPAO is a tribute to the Filipino Optometrists who endeavor to practice the profession in the Philippines and around the globe. The intention of the event is to R.E.A.C.H. Register, Educate, Activate, Communicate, and Harness their members by providing an avenue for the organization to build and strengthen the practice of Optometry and bring it to new heights in the current millennium. With over 500 attendees, this year’s congress includes three key topics: The Optometry Practice, The Optometry Business and The Optometry Organization. Optical Dynamics is pleased to be a sponsor and key participant in this important event.